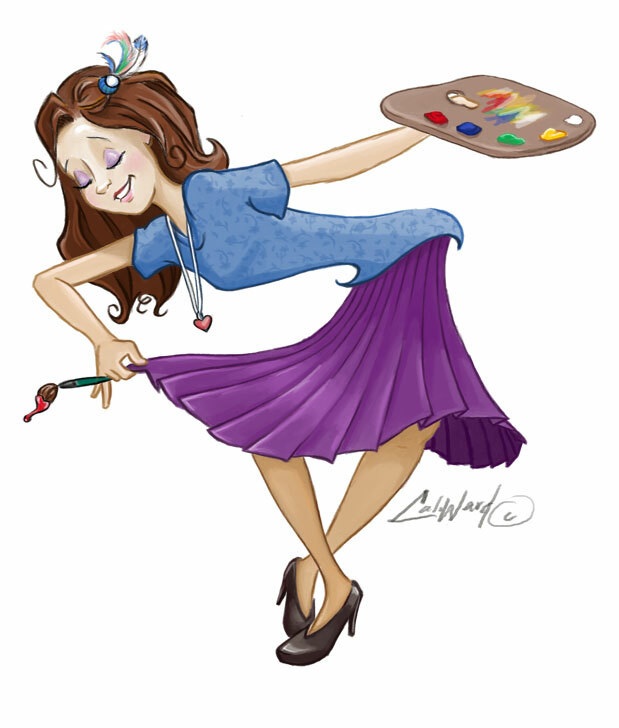 Calista Ward Illustration: Stir up some paint! Here's a question for all you Illustration Friday artists out there: Do you "stir" your paints together on your pallet or do you mix together on the canvas (board, paper, or other artist surface)? I, myself, like to experiment with the paint on the canvas, unless I'm feeling expecially conservative. Hope you like this little curtsy-girl, she's kinda like the Disney Princess version of me. Cute self portrait. I stir on the palette, then on the painting. Hi Calista, What a great illustration! I love your style! They are all very nice.